In today's high-tech world we are proud to produce a simple, natural solution for your wastewater: a highly-effective Sphagnum Peat Moss wastewater treatment system for homes and light commercial applications. Our unique, natural process means all treatment microorganisms are naturally occurring, granting powerful benefits, such as no need to shut down or restart your system, no moving parts to maintain or replace, no electricity, chemicals, or air pumps necessary, and no noise pollution. Our mission is to provide homeowners the most effective natural gravity wastewater biofilters available today: Planet Care's Sphagnum Peat Moss Biofilters. 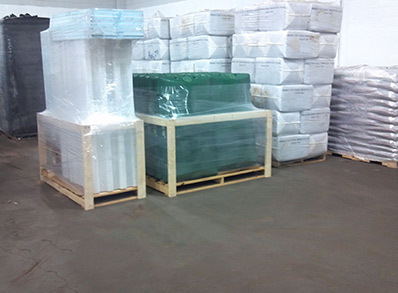 The unique properties of sphagnum peat moss allow the Planet Care Biofilter system to operate without expensive air blowers or compressors. Extensive university research, independent third-party testing, and real world experience have demonstrated that the Planet Care Biofilters will protect the most sensitive environments passively, quietly, and economically. 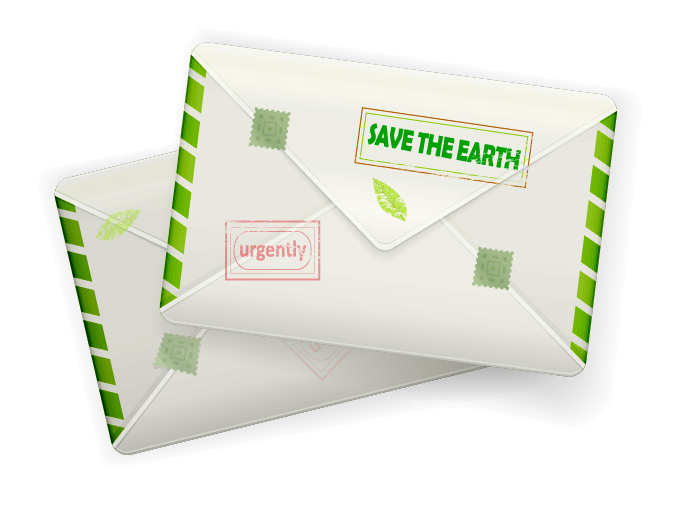 Planet Care Biofilters can help you save money, spend less time worrying, and help the planet at the same time. It's a win-win-win. The Planet Care Peat Moss Biofilter wastewater treatment system utilizes a specially blended sphagnum peat moss for the natural treatment of septic tank effluent. A Planet Care Peat Moss Biofilter is not only gentle to the Earth, but it can save you money as well. 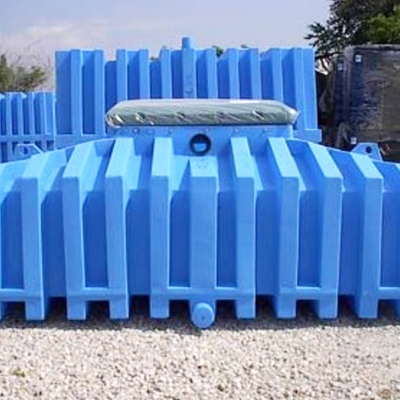 Planet Care Biofilters are among the most efficient and cost-saving wastewater treatment systems. The Planet Care Peat Moss Biofilter wasterwater treatment system is designed for ease of installation and hassle-free maintenance and upkeep. The patented Planet Care Peat Moss Biofilter was designed based on the research conducted by Dr. Joan Brook at the University of Maine with ecology and environmental responsibility in mind. It's smart stuff. Planet Care's PBF series Peat Moss Biofilters consists of a watertight tank which holds a specially graded Sphagnum Peat Moss that meets our rigid specifications for wastewater treatment. 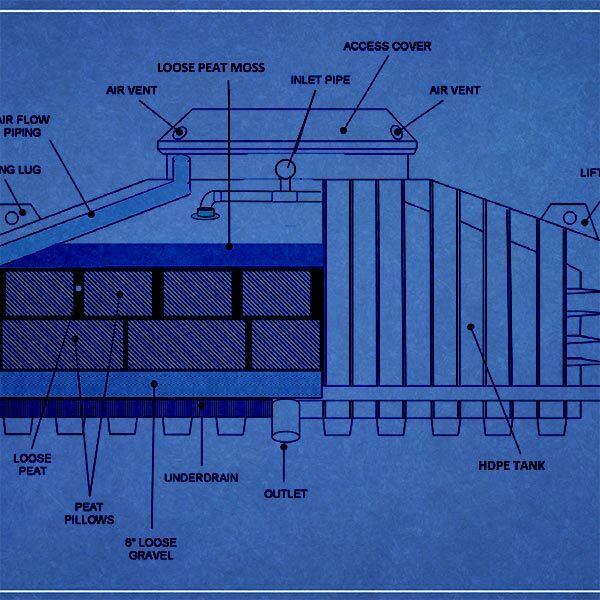 A highly efficient air exchange chamber and filter bed. The naturally occurring ecosystem of microorganisms uptake nutrient and the sphagnum peat's cellular structure captures and holds other particles in the wastewater from your septic tank. Highly treated effluent is now ready to be discharged into the receiving environment designed for your site. 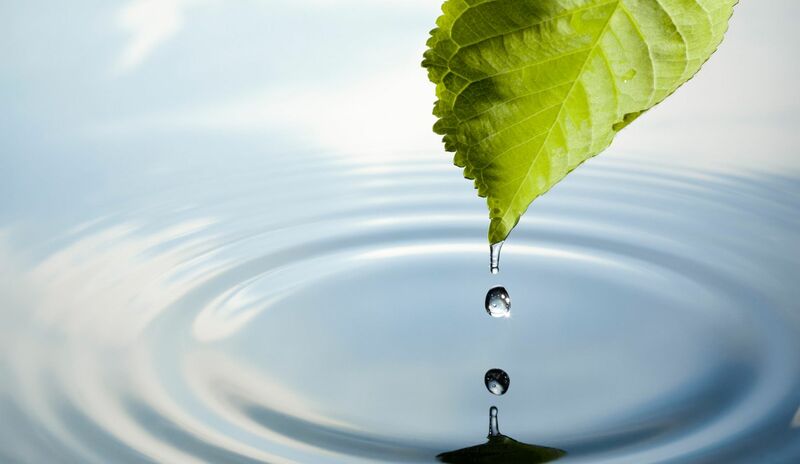 The Planet Care Biofilter system relies on a combination of natural physical, biological, and chemical processes to eliminate harmful organisms in wastewater. 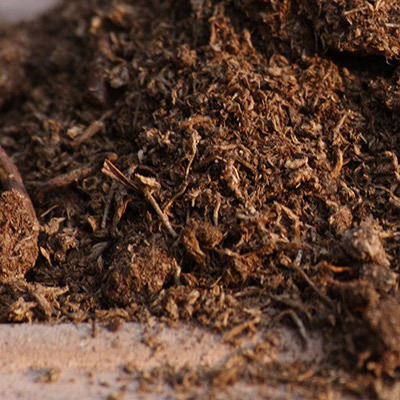 The key component: Sphagnum peat moss, which provides an excellent environment for naturally occurring organisms that are highly effective at wastewater treatment. Planet Care Peat Moss Biofilters are meticulously designed for extreme site conditions and sensitive environments, using quality components. 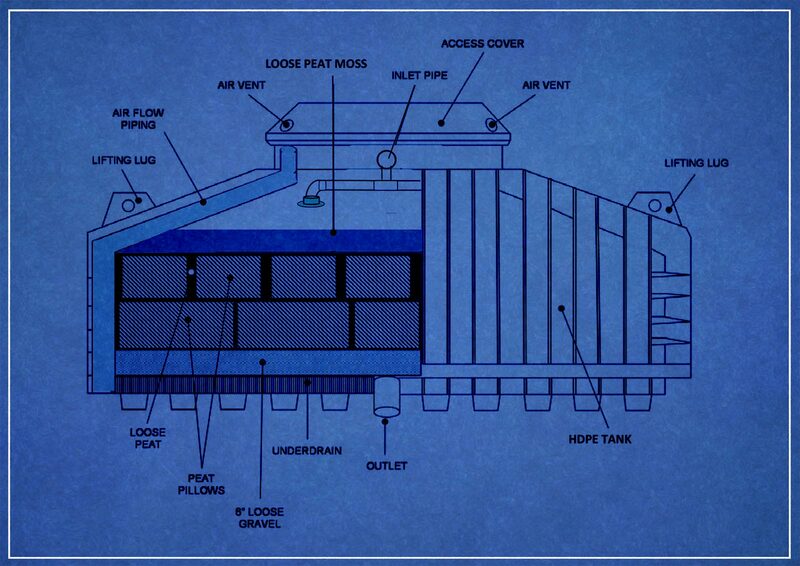 Its high-capacity, Earth-friendly tank can treat peak flows of up to 650 gallons of wastewater per day, or the typical amount from a four bedroom home. Questions? Ready for your own Planet Care Biofilter? We're ready and willing to help you upgrade your home with our Earth-friendly, sustainable Planet Care Biofilters. Get in touch and let's get started today! Your message is on its way to us. Talk to you soon! In today's high-tech world we are proud to produce a simple, natural solution for your wastewater: a highly-effective Sphagnum Peat Moss wastewater treatment system for homes and light commercial applications. Our mission is to provide homeowners the most effective natural gravity wastewater biofilters available today: Planet Care's Sphagnum Peat Moss Biofilters. © 2019 Planet Care, Inc.